Known for being a land that once housed the Dilmun civilization as well as one being one of the world’s most vital trade and business hubs, the Kingdom of Bahrain has been chosen in 2017 as the expats’ favorite place to both live and work in, according to Expats’ Insider Survey. Such a rank can be attributed to the unique lifestyle the kingdom offers through its diverse towns and districts; among these neighborhoods, Hidd comes as one of the most prominent areas in Bahrain. In this article, we will demonstrate the interesting facts about Hidd including its location, demographics, facilities and services, attractions, and real estate market. 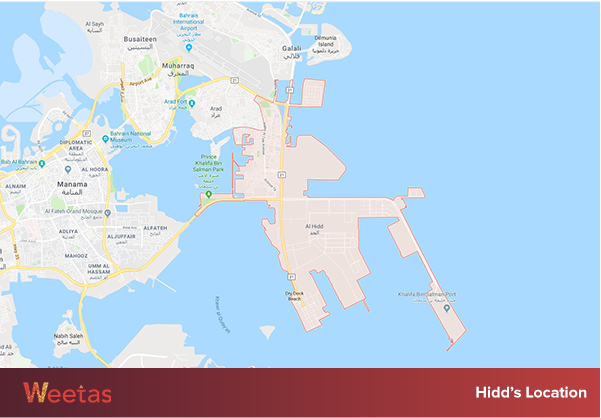 Located in the south western corner of Muharraq governorate northern of Bahrain, Hidd spans around 15 kilometers of land where around 14,500 people live. The town is distinguished by its ancient architecture which is still preserved and reflected in some of its houses; the town’s population mostly consists of Afro-Arabs and Huwala. In the recent years, as a part of the Bahraini kingdom’s vision to become one of the strongest investment attractions through boosting its non-petroleum economic sectors, Hidd has witnessed the launch of multiple promising projects and attractions to make use of its full potential and ancient historical sites and attractions. Hidd town comprises multiple facilities and amenities that help satisfy and provide its residents daily needs and necessities as well as many industrial projects that promoted the town investment potential. 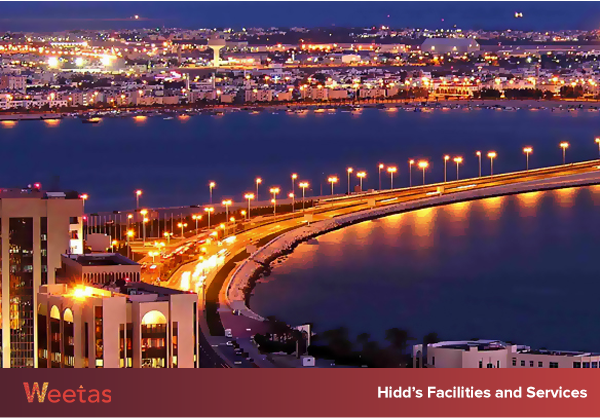 As a matter of fact, Hidd houses Bahrain Industrial Area, the biggest industrial city in the island kingdom today. The industrial city includes a large power plant as well as a water distillation plant; the latter is responsible for providing 75% of the kingdom’s fresh water needs. In addition to that, on its coastline, Hidd houses Khalifa bin Salman port which spans 110 hectares of land and is located 13 kilometers away from Bahrain International Airport. 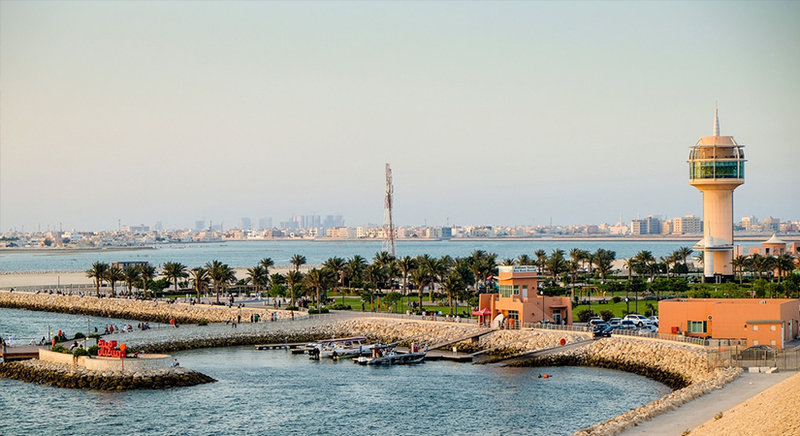 The port is situated 30 kilometers away from King Fahad Causeway which connects Bahrain to Saudi Arabia; therefore, it is considered a pivotal distribution and trade center. Also, Hidd’s coastline features a drydock for building and repairing ships. On the other hand, to further relinquish the trade activity of the town, Lulu hypermarket has been opened in Hidd close to its sports club. Hidd also houses multiple nurseries, schools and hospitals to serve the daily necessities of its residents; for example, AFAQ Institute of Aviation Technology is situated within the town. As one of the most ancient areas of the Kingdom of Bahrain, Hidd houses many attractions and destinations including Hidd Park, Prince Salman Park, and Asry Beach; but perhaps the most famous attraction that Hidd houses is Arad Fort. A square-shaped Islamic fort which dates back to the 15th century, Arad Fort has gone under extensive restoration processes over the years to turn it into one of the most prominent sites of the Bahraini kingdom. 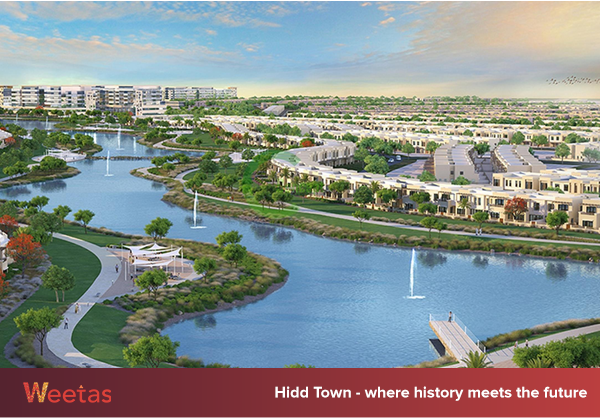 As an area, Hidd comprises multiple variant residential options that cater for Bahraini nationals needs. For example, if you are looking for a new home for yourself and your little family, you can purchase a luxurious three-bedroom apartment in Hidd near the highway for 58,500 BHD. If you are looking for something smaller, then a two-bedroom apartment for 52,500 BHD might be the right one for you. If you are an investor who is aiming at purchasing a whole building to yield high return on investment from it or a land plot to build your dream property on it, the average price of purchasing a building with a prime location in Hidd is 600,000 BHD. Though they depend on many factors like the area, location and category, the overall average price for purchasing a land in Hidd is slightly over the 300,000 BHD mark. However, if you prefer to rent an apartment to live in, the average price for renting apartments in Hidd town ranges between 400 and 500 BHD monthly. Finally, it is worth mentioning that one of the multiple housing projects that the Bahraini Government constructs, East Hidd Housing Project, is situated within its titular location and will provide more than 4,500 housing units for the unprivileged citizens of Bahrain. It is no secret that the Bahraini property market is currently going under major developments; and we expect to see more real estate projects in Hidd, as well as other areas of the island kingdom.